There's a scene in We Steal Secrets, Alex Gibney's film about WikiLeaks and its founder, Julian Assange, where interviewees discuss the material leaked to WikiLeaks by Chelsea Manning. Specifically, they talk about the footage of an American helicopter attack which resulted in the death of several people, including two photographers working for Reuters. One of the interviewees points out that what was interesting about the response to the footage was that it didn't provide much truly new information. Written accounts of the attack, which happened in July 2007, had existed long before the footage was released in 2010, but seeing it take place elicited a much more visceral and emotional reaction from the world at large. Film has the power to shock, and if a picture is worth a thousands words, then film is worth 24,000 words a second. That scene ran through my head repeatedly during Going Clear, Gibney's latest documentary (and his seventeenth in the last five years alone) because it's a film which doesn't contain a huge amount of new information. It's a very faithful adaptation of Lawrence Wright's 2013 book of the same name. It even adheres to the structure of its source material, beginning with an interview with Oscar-winning screenwriter Paul Haggis, and using Haggis' journey into Scientology (and very public departure from it) as a backbone upon which to hang the rest of its revelations. Anyone who has read the book will find little new here, at least in terms of facts. What Gibney brings to the table - and what seems to have driven Scientology to run an hilariously inept Twitter smear campaign against Gibney, his film and his interview subjects - is that emotional, visual component. Reading about someone being beaten or forced to clean toilets with a toothbrush as a punishment for perceived transgressions is one thing, but it's quite another hearing that same person describe it, or seeing the punishments reenacted through classy, Errol Morris-inflected abstract recreations. While there are plenty of emotional moments in Wright's book, none of them quite compare to the one in Gibney's film where a woman describes the moment when her daughter was forced to disconnect from her. The words are more or less the same, but the inflection, the twitches and tears have a very different impact. Aside from its emotional elements, Going Clear is a concise and accessible trip through the life of L. Ron Hubbard and Scientology as a whole. It doesn't focus too much on the beliefs of the Church, probably because saying that the tenets of the organisation are nuts isn't a bold stance to take at this point (plus, South Park already did a great job of that ten years ago). Instead, it focuses on the alleged actions of the Church, which are a lot more sinister and troubling than someone believing that humans carry around the souls of aliens who were blown up by nuclear bombs millions of years ago. Actions like the way in which Scientology (allegedly) got its tax-exempt status by launching so many lawsuits against the IRS that they just gave up trying to fight them, or (alleged) campaigns of harassment against critics of the Church and those who left it, or (alleged) numerous instances of current head of the Church David Miscavige beating people to assert his dominance. These are all much more serious than the imaginings of a science fiction author. These are stories of peoples' lives being ruined. 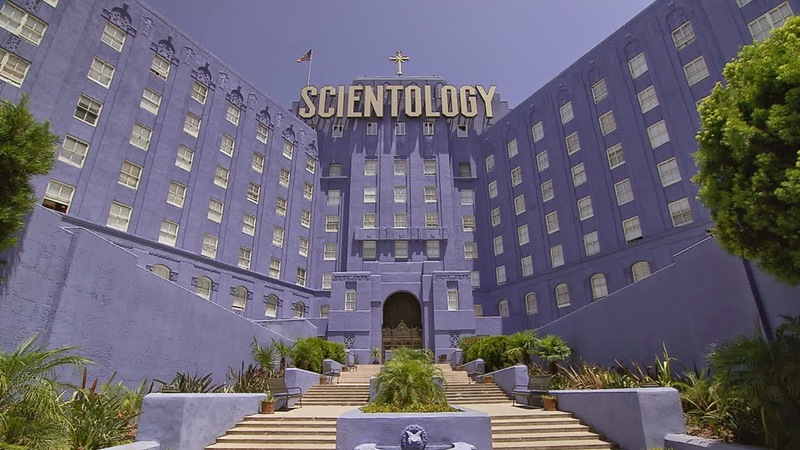 Going Clear's biggest strength isn't its ability to pile shocking revelation on shocking revelation, but its ability to add humanity to an organisation that is usually treated as cartoonish. And it does it for an audience far bigger than Wright's book ever reached.